Galway East Tourism - Arch Bar in East Galway, West of Ireland.Galway East Tourism - Arch Bar in East Galway, West of Ireland. 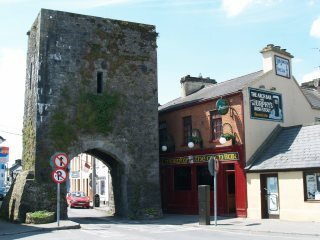 A truly traditional Irish pub, incorporated in the town walls, and nestling by Athenry's famous North Gate. The Arch serves fresh food, features live music, and has the craic and friendly atmosphere that Irish pubs are renowned for.